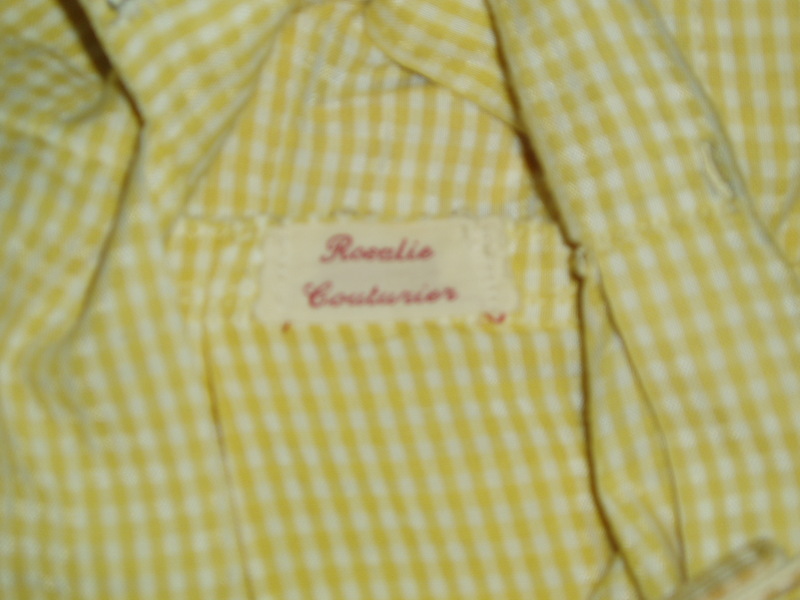 Classic true vintage ’40’s – early ’50’s style, custom-tailored by Rosalie Couturier. I loved finding this dressmaker’s personal label in the waistband of this beautiful frock! What a nice surprise since it was hidden. The best labels, like this one, were embroidered on cloth. It’s amazing that this beautiful garment has survived 60 – 70 years in such wonderful condition. Its original owner obviously loved it and cared for it well. 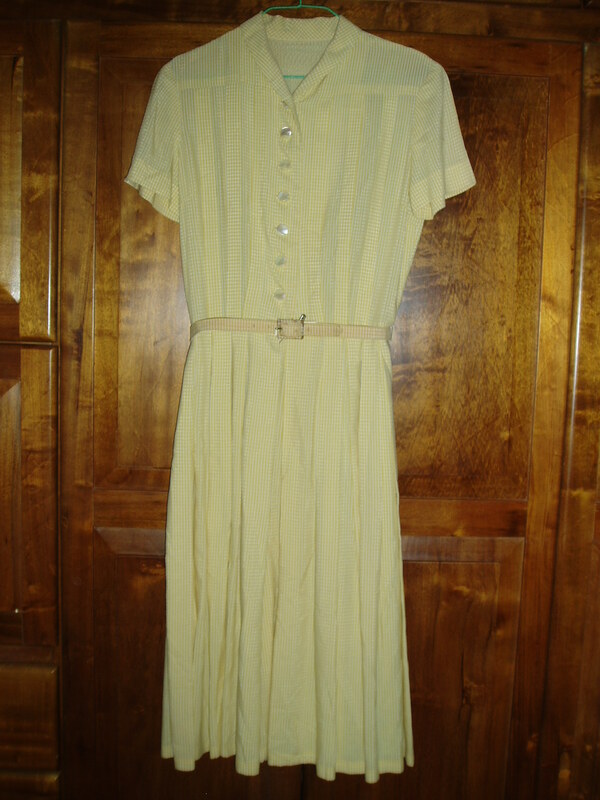 Lovely rayon fabric, with stitched-in pleats on front and back – bodice and skirt. So many little hand-done details. Beautiful, big sculpted shell buttons, fabric-covered belt. A little wear there on the buckle, but that is the only flaw. And, when I got it home it fit Stella beautifully. Perfection! Posted on October 27, 2017 by Morgana Martin, the magicvintagespy. 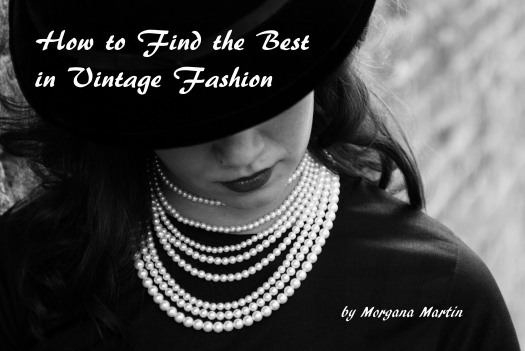 This entry was posted in clothing, dress, fashion, find, frock, guidebook, handmade, ladies, mid-century, photos, shirtwaist, summer, true vintage, vintage, vintage blogger, vintage clothing, vintage expert, women's and tagged '40's, '50's, '50s, 1940's, 1940s, 1950's, 1950s, 40's, clothing, custom tailored, custom-tailored, dress, fashion, fifties, Fifties, find, forties, Forties, frock, guidebook, handmade, ladies, mid-century, photos, shirtwaist, spring, summer, true vintage, vintage, vintage blogger, vintage clothing, vintage expert, women's. Bookmark the permalink. ← RARE, RARE ANTIQUE FIND!!! LADIES’ HAND-MADE CAPELET – 100 YEARS OLD????? ?